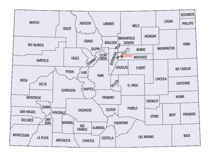 Las Animas County is one of the 64 counties in the state of Colorado. Based on the 2010 census, the population was 15,507. The county seat is Trinidad. Las Animas County was created on February 9, 1866 from Huerfano County. The county takes its name from the Mexican Spanish name of the Purgatoire River, which means "River of the Lost Souls in Purgatory. 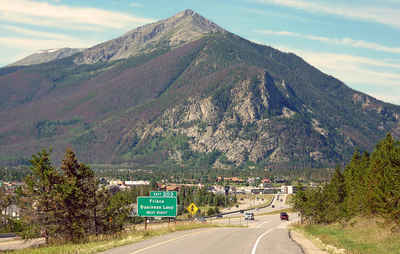 Las Animas County is named for the Spanish language name of the Animas River, "Rio de las Animas Perdidas," meaning "River of the Souls in Purgatory." In 1870 a bit more of Huerfano was added. In 1889 the eastern part was split off to form Baca County. As reported by the Census Bureau, the county has a total area of 4,775 square miles (12,368 km2), of which, 4,773 square miles (12,361 km2) of it is land and 3 square miles (7 km2) of it (0.06%) is water. 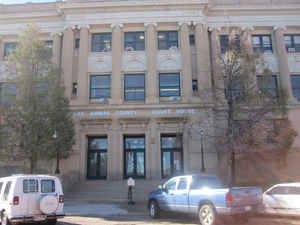 Trinidad, the county seat, is in the southern part of Colorado. The county is located in the Purgatoire River valley.